Recently I wanted to let you all know that our packages on the website that say start from Bridal Preparation do also include groom preparation coverage too. This is because, uniquely there are two of us photographing your big day – both myself and Paul. While I cover the bridal preparation Paul can travel to the groom’s getting ready location to take some photos of him and the groomsmen preparing. We find that its great fun capturing the groomsmen in the morning, either at their home or in the pub down the road! Paul takes these photographs naturally so you don’t need to worry about posing. The best photos are the nervous laughs and the waiting for the bride. Its a great way to see what the groom is up to in the morning! During the ceremony both of us will photograph the wedding from two points of view – Paul stays at the back of the church so he can get the photo of your groom looking back and seeing you for the first time – this is one of my favourite moments during the ceremony. 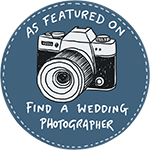 So if you are looking for a wedding photographer to cover the groom preparation as well as the bridal preparation too – let us know! Enjoy looking through some previous wedding groom preparation Paul has photographed below in Sheffield and Yorkshire. Paul & Helen are reportage wedding photographers. We photograph weddings in Yorkshire, the Lake District and have over 10 years experience of photographing weddings in Sheffield.